Abiding by your new diet is very important during orthodontic treatment. Eliminate hard or sticky candy such as caramels, starbursts and tootsie rolls. Sticky foods remain on the teeth and can damage wires by pulling on them, and may loosen the cement under the brackets and bands. Corn on the cob must be cut off the cob. Hard bread, tacos, pretzels, as well as some vegetables such as carrots and apples can be eaten, but should be cut into small pieces and placed in the mouth. Cold, icy foods such as ice cream and popsicles can be eaten, but brushing is recommended after eating foods with great amounts of sugar. When brushing is impossible, at least rinse with water. Eliminate carbonated beverages. The sugar and acid from these beverages can lead to enamel destruction. Do not chew on pens or pencils. Do not pick or play with the appliances in the mouth. Brush immediately after eating each meal or snack and after drinking liquids containing sugar. Brushing with orthodontic appliances in the mouth is a little more difficult than normal. Food particles that lodge between the teeth, appliances and the gum line must be removed. Since bands are cemented to the teeth, the food particles are sealed out firmly to prevent decay as long as they are attached. The brackets, tubes and wires tend to make a shelf on the outside of the teeth. This makes it harder to clean the spaces between the gums and the attachments. Thorough cleaning of the teeth and gums is very important during orthodontic treatment. With improper cleaning, swelling of the gums will result, making it more difficult to clean teeth and gums. Poor oral hygiene while wearing braces can lead to dental decay and permanent decalcification of the teeth. Brush after every meal or snack. Brush the biting surface of the teeth with a back and forth motion. Wedge the bristles of the toothbrush underneath the archwire or use interdental brushes to push food out that may be lodged. Gently brush the surface of the gums. When finished, the brackets and bands should look clean and shiny. An oral hygiene device such as a Water Pik can be helpful, but it is to be used after thorough brushing, and not as a substitute. Floss at least once a day. The floss can be threaded under the archwire so that typical flossing can be completed. Brushing assistants such as floss threaders and proxy brushes can be a helpful addition to brushing. There are certain times during your orthodontic treatment when you may become sore in your teeth, jaw or lips. Common instances would be after your braces have been applied, or after an adjustment. Your teeth may be sore for two or three days after any changes have been made to your braces, but this discomfort will subside as your teeth begin to move and adjust to their new positions. Your soft tissue, such as the inside of your lips, may become irritated while adjusting to the new appliances in your mouth. This discomfort will subside as your tissue becomes used to your braces. Warm saltwater rinses or over the counter pain medication can help if you experience any pain during treatment. You can help to reduce any irritation of your soft tissue by placing wax on the areas of your braces that might be rubbing on your mouth. 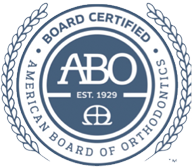 Retention is the final and possibly most important part of orthodontic treatment. You have worked hard for your new smile, and your retainer will help you to maintain the proper alignment of your teeth in their final positions. With improper retainer compliance, your teeth could move out of alignment. There are different types of retainers available, and Dr. Stacy will prescribe the best type of retainer for your specific needs. Retainers are custom- made to fit your teeth, and come in removable or permanent forms. Dr. Stacy will discuss these options with you as you near the end of your orthodontic treatment. Bring your retainer to each appointment so that adjustments can be made if necessary. Remove your retainer to eat and drink. Do not chew gum while wearing the retainer- it will stick to the plastic. When the retainer is not being worn, keep it in the case that was provided. The retainer could get lost easily or thrown away in the trash if wrapped in tissue or napkins. Brush the retainer with a toothbrush and toothpaste. Do not expose your retainer to extreme heat or cold (such as soaking in hot water or leaving it in the car during summer/winter months). Your retainer may become distorted in these conditions, losing its proper fit and becoming ruined. Don’t leave the retainer in a place where your pet could chew on it. A complimentary retention guard is included in our treatment fee. Replacement retainers can be provided, but may require additional fees. New digitally produced retainers are available through 3D intra-oral scanning.